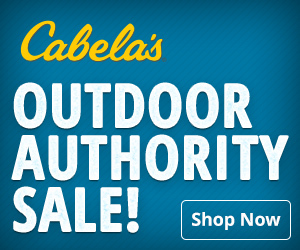 OMM Outfitters Blog: Spring! Jungle Birds of the Yucatan. Something is special about this time of year. The sounds of song birds happily awaiting a mate, the deer that’s dashing around the field or that so familiar smell of the freshness we call spring. With this great time of year comes a piercing sound while in the woods in the early part of the day. It’s a sound that when heard brings you to a place we call turkey season and what an exciting season this is! On April 28, I will be venturing beyond the so familiar spring sounds and smells to the Mexican jungle and its sights, smells, and new sounds of a far off place. 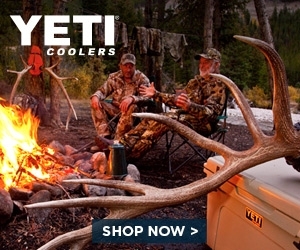 I will be pursuing a turkey unlike anything else. A turkey called the Ocellated Turkey. 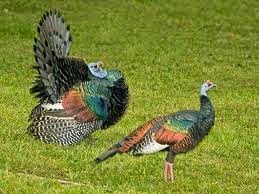 The Ocellated Turkey is a Picasso like bird with strong peacock characteristics. When I found out about this trip I got excited. Not only do I like jungles and the adventure of faraway places but I love turkey hunting. Also, this is going to be a trip to spend time with a few great sportsmen / television personalities and our film crew. Over the last year, Jason and Josh Whitaker of The Whitaker Brothers Hunting Company, Mark Peterson of MVP Outdoor Adventures, and I have been filming extensively for two TV shows set to air in 2015. It has been a busy season and now we are gathering in one place and that place is the Yucatan Peninsula in Mexico. 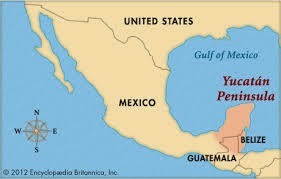 The Yucatan is a great adventure destination with a rich history both in nature and also ancient culture. It was largely known for its cattle and logging. Today it focuses on tourism and the ancient living culture that still exists attracts people from afar. This is truly going to be an experience of a lifetime!